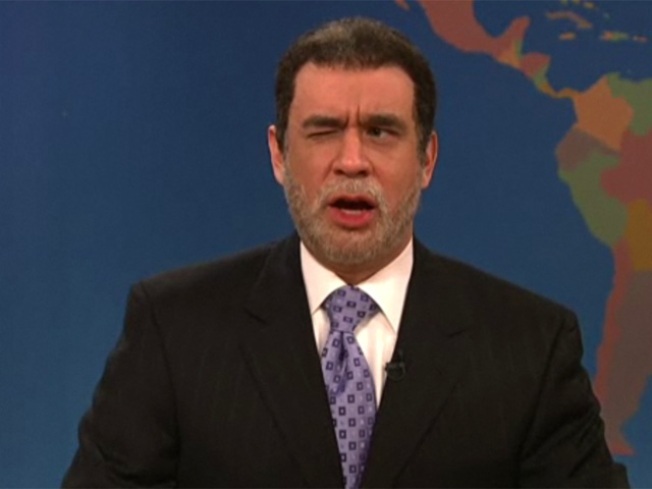 In a classic example of life imitating art, a person close to the real governor of New York says David Paterson is set to make an appearance on Saturday Night Live tonight -- a show that has skewered him relentlessly over the past two years. The show's Fred Armisen usually plays the governor on "Weekend Update" skits, portraying him as a half-blind, bumbling joke-meister with a past of youthful drugs and womanizing whose every punchline is "New Jersey!" delivered while mugging directly into the camera. In one skit, Armisen held up a chart illustrating the state's job losses upside down. The person spoke to the Associated Press on condition of anonymity, but the The New York Times reported Friday that Gov. Paterson's friends and supporters were emailed a note from senior aide Clemmie Haris Jr., announcing the appearance. “Dear all, this is to advise that New York Governor, David A. Paterson, will appear on Saturday Night Live this Saturday, Sept. 25th. I hope you will tune in,” Harris wrote in the e-mail according to Times. Nether SNL nor Paterson's office returned calls for comment, but if he stays true to comic form we predict his first joke will go something like this: "I hear New Jersey just got a $100 million donation from Facebook. They'll probably just flush it down the toilet -- a.k.a. give it to Newark!" The governor has been a critic of SNL in the past. He once said the late-night program's parodies hurt people with disabilities not in a position to fight back.